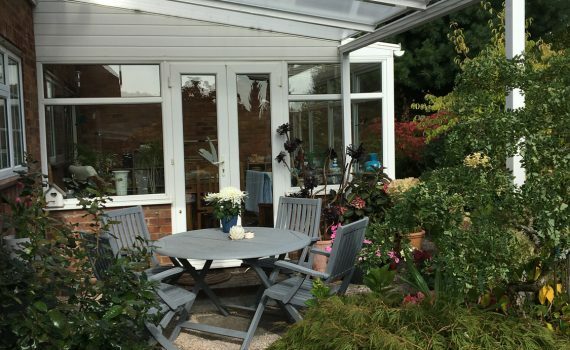 Graham now has a spot in his garden where he can enjoy the late evening sunshine whilst chatting with friends and family. He is protected from the bad weather, but the sides remain open to allow sunshine and cool air in. We stock white, brown and grey frames, but do offer custom colours on request. Our roof panels are made from 16mm multi-wall polycarbonate and include UV protection. 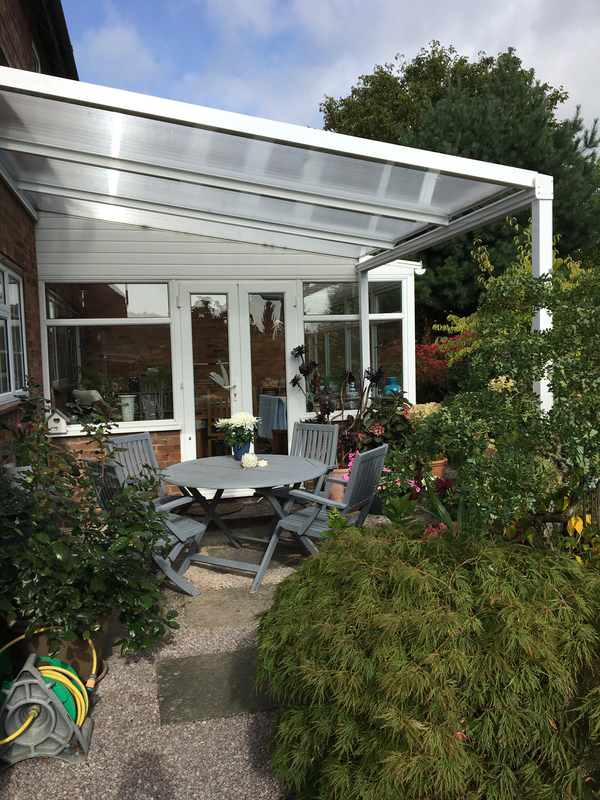 All our canopies come with a 10 year guarantee. You can get in contact here to receive a personalised quote.